National Gallery Singapore, winner of the 2018 Children's Museum Award, returns with Gallery Children's Biennale. 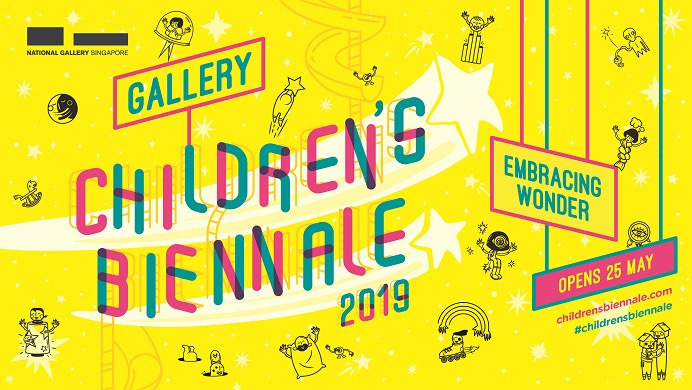 This second bi-yearly edition, titled Gallery Children's Biennale 2019: Embracing Wonder, invites the young and young-at-heart to embrace new possibilities with art. Visitors can look forward to 11 interactive artworks by Singapore and Southeast Asian artists that provide meaningful insights into art. Have fun composing your own tunes with Chance Operations, using 300 ping pong balls to hit the chords of a colourful formation of wind chimes, by Singapore's representative at the 2019 Venice Biennale, Ang Song-Ming. Alongside Ang is the Philippines' representative at the Venice Biennale, Mark Justiniani, with the third iteration of his bridge installation, Stardust: Soaring Through the Sky's Embrace. Step into an experiential journey appearing to take you across time and space by peering into a magical mirror resembling a rock formation, complete with sparks of light and moving clouds. Guests will also be treated to three reimagined spaces at the Keppel Centre for Art Education's Project Gallery, Children's Museum and Art Corridor. First launched in 2017, Gallery Children's Biennale furthers the Gallery's commitment to empower children in their development by sparking their imagination and creativity through art.